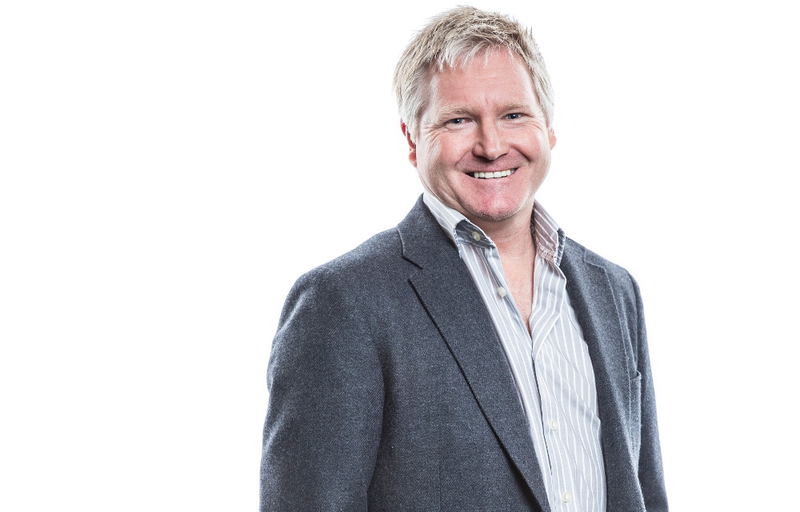 Written by Prime Strategies Business Advisor Nick Kershaw. I love graphs. This one encapsulates the behaviour of many SME’s (Small to Medium sized Enterprises) and shows why they don’t go on to become the huge success that they originally intended to be. It demonstrates that when we are risk taking, we are outperforming corporate competitors and growing. However, as time passes, our appetite for risk diminishes because we have incrementally gained a position where we have more to lose. We have done well, but we don’t want to lose it all, so we take less risks over time. Risk drives innovation, so when we stop innovating, we lose the advantage over our corporate rivals. 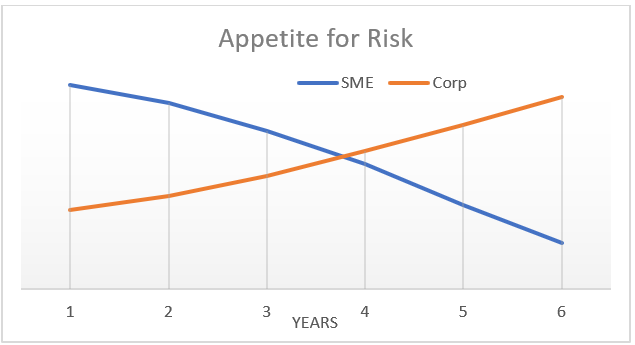 Corporates, on the other hand, take incrementally more risks as they gain size and stability. They have more resources to drive innovation, and they have an appetite for more success, driven by shareholder and board pressure. So, the advantages that a SME starts out having over the corporates are eroded by our own lack of courage. If we focus on staying innovative, nimble and responsive we can retain our business advantage and have continued growth and success. Easier said than done? Of course, but let me tell you this… owning a business is risky whichever way you go. There are many things outside your control that can upset your plans, so why take the foot off the pedal just when you are getting ahead? This is the time to double your efforts, not relax. The corporates are starting to win back your customers as you struggle with the challenges of growth. As the lines converge, your response needs to be strong; new innovation, new technology, new service, new opportunity. Lock your clients in and gain new ones by beating the corporates to the punch. Use your SME advantages. You are nimble, you are closer to the customer, you are flexible, you are innovative. Corporates are none of these things. They are a cargo ship and you are a speed boat. They can’t change direction, or be first adopters of new technology, or roll out new products with the speed you can. It takes courage to own a business. Its not for the faint hearted. You had that courage when you started out, so if you can see that you have slipped into the comfort zone and you are increasingly risk averse, take this as a wake-up call. Remember why you got into business, and what your goals are. You cannot get there without courage, strength and an appropriate amount of calculated risk. So, don’t follow the trends shown above. Adopt risk as a part of your everyday strategy. Assess the risks verses the rewards and keep implementing the ones that make sense to you, the ones that keep you ahead of the corporate chasers. You have the power to set the standards and lead the way, but if you stop and look over your shoulder, or rest on your laurels, you will get run over by the slow moving cargo ship behind you. Need support with setting your business strategy? Find the Prime Strategies Business Advisor near you.